Tomás Pedro Barbosa da Silva Nunes was the Portuguese Auxiliary bishop of the Patriarch of Lisbon from his appointment on March 7, 1998, until his death on September 1, 2010. He also served as the Titular bishop of the Diocese de Elvas in Portugal. Sir Colville Herbert Sanford Barclay, 14th Baronet was a British naval officer, painter and botanist whose career spanned amphibious landings and commando operations off the coast of France during the Second World War, having his paintings exhibited at the Royal Academy, publishing reference works about the flora of Crete and taking commissions to obtain plant samples from across the world for the Royal Botanic Gardens, Kew. Trevor Cory Beard, was a British-born Australian medical doctor, best known for his work in the 1960s to eradicate echinococcosis in Tasmania. In later life, Beard was known as an anti-salt campaigner. Germán Dehesa was a Mexican journalist, academic and writer. Shmuel Noah Eisenstadt was an Israeli sociologist. In 1959 he was appointed to a teaching post in the sociology department of the Hebrew University in Jerusalem. From 1990 until his death in September 2010 he was professor emeritus. He held countless guest professorships, at the University of Chicago, Harvard University, the University of Zurich, the University of Vienna, the University of Bern, Stanford and the University of Heidelberg, among others. Eisenstadt received a number of prizes, including the Balzan prize and the Max-Planck research prize. He was also the 2006 winner of the Holberg International Memorial Prize. He was a member of many academies, including the American Academy of Arts and Sciences and the Advisory Editors Council of the Social Evolution & History Journal. Dušan Lukášik, 78, Czech Olympic basketball player. Lawrence Peel "Larry" Ashmead was an American book editor who helped create 100 books a year featuring such authors as Isaac Asimov, Quentin Crisp, Tony Hillerman, Susan Isaacs, Michael Korda, and Helen Van Slyke, at a string of publishers including Doubleday, Simon & Schuster, Lippincott, Harper & Row and its successor HarperCollins. Michael Clive "Micky" Burn, MC was an English journalist, commando, writer and poet. David Bushnell was an American academic and Latin American historian who has been called "The Father of the Colombianists." Bushnell, one of the first Americans to study Colombia, was considered one of the world's leading experts on the history of Colombia. He regarded it as one of the least studied countries in Latin America by academic scholars in the United States and Europe, and was considered the first American historian to study and introduce Colombian history as an academic field in the United States. Francis Gerard Brooks was the Roman Catholic Bishop of the Diocese of Dromore, Northern Ireland. The Diocese of Dromore is a Roman Catholic diocese in Northern Ireland. It is one of eight suffragan dioceses which are subject to the Metropolitan Archdiocese of Armagh. Paul Francis Conrad was an American political cartoonist and winner of three Pulitzer Prizes for editorial cartooning. In the span of a career lasting five decades, Conrad provided a critical perspective on eleven presidential administrations in the United States. He is best known for his work as the chief editorial cartoonist for the Los Angeles Times during a time when the newspaper was in transition under the direction of publisher Otis Chandler, who recruited Conrad from the Denver Post. Emeritus Professor Hedley Beare AM was an Australian educator, administrator and author. He led the creation of the Northern Territory and ACT education systems. Beare wrote, co-wrote or edited 18 books and contributed 40 book chapters and hundreds of journal articles. He delivered the 1986 Buntine Oration, titled "Shared Meanings About Education: The Economic Paradigm Considered." Corneille – Guillaume Cornelis van Beverloo, better known under his pseudonym Corneille, was a Dutch artist. David Dortort, was a Hollywood screenwriter and producer, widely known for his role as producer in two successful NBC television series: Bonanza (1959–73) and The High Chaparral (1967–71). Dortort's focus shifted in the late 1960s to the newer series, leaving the production of Bonanza largely to his associates during its last five and a half years (1967–1973). Lennie von Graevenitz, 75, South African boxer. Sandra Mondaini, 79, Italian actress, after long illness.  . The New York Coliseum was a convention center that stood at Columbus Circle in New York City from 1956 to 2000. It was designed by architects Leon and Lionel Levy in a modified International Style, and included both a low building with exhibition space and a 26-story office block. The project also included the construction of a housing development directly behind the complex. The National Debt Clock is a billboard-sized running total display which constantly updates to show the current United States gross national debt and each American family's share of the debt. 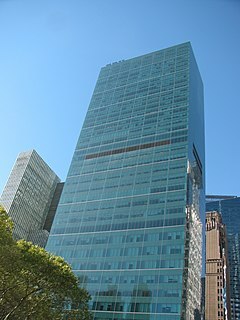 It is currently installed on the western side of One Bryant Park, west of Sixth Avenue between 42nd and 43rd Streets in Manhattan, New York City. It was the first debt clock installed anywhere. ↑ Cheney, David M. "Bishop Tomás Pedro Barbosa da Silva Nunes". Catholic-Hierarchy. Archived from the original on 13 February 2017. Retrieved 27 January 2018. ↑ "Sir Colville Barclay, Bt". The Daily Telegraph. 23 September 2010. ISSN 0307-1235. Archived from the original on 13 February 2017. Retrieved 27 January 2018. ↑ "Robert Bradley Cutler; 1936 Olympian, Riverside member since 1921". row2k.com. 9 September 2010. Archived from the original on 1 December 2017. Retrieved 27 January 2018. ↑ "'Devil of the Dohyo' Wakanohana dies". The Japan Times Online. Kyodo News. 2 September 2010. ISSN 0447-5763. Archived from the original on 14 February 2017. Retrieved 27 January 2018. (Registration required (help)). ↑ Boone, Christian (2 September 2010). "Actress who played Rhett and Scarlett's daughter dies". The Atlanta Journal-Constitution. Archived from the original on 27 January 2018. Retrieved 27 January 2018– via AccessAtlana.com. ↑ "Dong Lang Baseball Statistics". The Baseball Cube. Archived from the original on 25 January 2018. Retrieved 27 January 2018. ↑ Schenley, BIll (16 September 2010). "Don Lang, 95; Was MLB Infielder for Reds and Cardinals". Newsgroup: alt.obituaries. Usenet: i6tens$vgt$1@news.eternal-september.org . Retrieved 27 January 2018– via Google Groups. ↑ "Jean Nelissen is op zijn 74e overleden" [Jean Nelissen dies at the age of 74]. Sporza (in Dutch). 1 September 2010. Archived from the original on 5 September 2010. Retrieved 5 September 2010. ↑ "Trailblazing tapeworm disease doctor dies". ABC News. 8 November 2010. Archived from the original on 14 February 2017. Retrieved 27 January 2018. ↑ "Así se despidió Germán Dehesa de sus lectores" [This is how Germán Dehesa said goodbye to his readers]. Quién (in Spanish). 2 September 2010. Archived from the original on 23 December 2011. Retrieved 27 January 2018. ↑ "Mexican Writer, Journalist and Don Quixote Prize Winner German Dehesa Dies". Latin American Herald Tribune. Archived from the original on 13 February 2017. Retrieved 27 January 2018. ↑ "Israel Prize laureate Shmuel Noah Eisenstadt dies at 87". Ynetnews. 2 September 2010. Archived from the original on 1 December 2017. Retrieved 27 January 2018. ↑ Nelson, Valerie J. (9 September 2010). "R.W. 'Bob' Loveless dies at 81; master knife-maker". Los Angeles Times. ISSN 0458-3035. Archived from the original on 3 January 2017. Retrieved 27 January 2018. ↑ Željan, Katja (2 September 2010). "Umrla je Katarina Marinič, najstarejša Slovenka" [Katarina Marinič, the oldest Slovenian woman, has died]. DELO (in Slovenian). Archived from the original on 30 August 2017. Retrieved 27 January 2018. ↑ "Oldest Slovenian dies at 110 years of age". Xinhua. STA. 4 September 2010. Archived from the original on 12 September 2011. Retrieved 12 September 2011– via Eastday. ↑ Morris, Steven (13 September 2010). "Lonely death of a wartime heroine". The Guardian. ISSN 0261-3077. Archived from the original on 22 September 2016. Retrieved 27 January 2018. ↑ Cheney, David M. "Bishop Pedro Marcos Ribeiro da Costa". Catholic-Hierarchy. Archived from the original on 14 October 2017. Retrieved 27 January 2018. ↑ Ryder, Lee (2 September 2010). "Fairs Cup legend Sinclair loses cancer battle". Evening Chronicle. Archived from the original on 4 April 2012. Retrieved 4 April 2012. ↑ "German-American Rabbi Leo Trepp dies". Expatica. AFP. 3 September 2010. Archived from the original on 27 January 2018. Retrieved 27 January 2018. ↑ "Morgan White, "Pogo" to a generation of Hawaii children, dies in Utah". Honolulu Star-Advertiser. 3 September 2010. Archived from the original on 21 October 2017. Retrieved 27 January 2018. ↑ Martin, Douglas (4 September 2010). "Larry Ashmead, 78, Successful Book Editor, Dies". The New York Times. ISSN 0362-4331. Archived from the original on 30 January 2013. Retrieved 27 January 2018. ↑ Davison, Phil (7 September 2010). "Captain Micky Burn: Soldier who led the commandos in the 'Operation". The Independent. Archived from the original on 7 March 2016. Retrieved 27 January 2018. ↑ "Murió David Bushnell este sábado en La Florida (E.U.)" [David Bushnell died this Saturday in Florida (US)] (in Spanish). Unviersidad Nacional de Colombia. Agencia de Noticias UN. 5 September 2010. Archived from the original on 13 March 2012. Retrieved 13 March 2012. ↑ "ELO cellist killed by bale of hay". BBC News. BBC. 6 September 2010. Archived from the original on 7 December 2017. Retrieved 27 January 2018. ↑ Fordham, John (13 September 2010). "Noah Howard obituary". The Guardian. ISSN 0261-3077. Archived from the original on 1 December 2016. Retrieved 27 January 2018. ↑ Wilson, Eric (4 September 2010). "Robert Schimmel, Provocative Comedian, Dies at 60". The New York Times. ISSN 0362-4331. Archived from the original on 12 August 2017. Retrieved 27 January 2018. ↑ "Former Liberal Democrat MP Cyril Smith dies". BBC News. BBC. 3 September 2010. Archived from the original on 30 November 2017. Retrieved 27 January 2018. ↑ "Morreu José Torres" [Jose Torres died]. Journal Record (in Portuguese). 3 September 2010. Archived from the original on 27 January 2018. Retrieved 27 January 2018. ↑ "Portugal and Benfica mourn José Torres". UEFA.com. UEFA. 3 September 2010. Archived from the original on 5 September 2011. Retrieved 27 January 2018. ↑ "Britain's oldest woman dies weeks before 112th birthday". The Scotsman. 7 September 2010. Archived from the original on 14 February 2017. Retrieved 27 January 2018. ↑ Cheney, David M. "Bishop Francis Gerard Brooks". Catholic-Hierarchy. Archived from the original on 13 February 2017. Retrieved 29 January 2018. ↑ Schudel, Matt (6 September 2010). "Pulitzer-winning political cartoonist Paul Conrad dies at 86". The Washington Post. ISSN 0190-8286. Archived from the original on 3 December 2017. Retrieved 29 January 2018. ↑ "John Gouriet (1935-2010): The Freedom Association's greatest campaigner". The Freedom Association. 6 September 2010. Archived from the original on 11 September 2010. Retrieved 11 September 2010. ↑ "John Gouriet". The Daily Telegraph. 13 September 2010. ISSN 0307-1235. Archived from the original on 21 October 2017. Retrieved 29 January 2018. ↑ "Elhunyt Kulcsár Kálmán" [Kálmán Kulcsár died]. hvg.hu (in Hungarian). 5 September 2010. Archived from the original on 13 February 2017. Retrieved 29 January 2018. ↑ McGaw, Barry; Nicholas, Alan (4 October 2010). "Gifted teacher responsible for many innovations in Australian education". The Sydney Morning Herald. Archived from the original on 29 January 2018. Retrieved 29 January 2018. ↑ Robbins, Liz (6 September 2010). 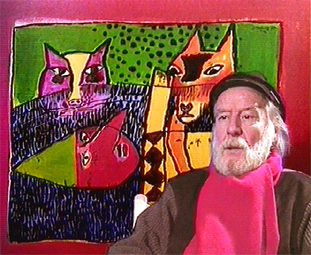 "Corneille, Artist of the Postwar Cobra Group, Dies at 88". The New York Times. ISSN 0362-4331. Archived from the original on 13 February 2017. Retrieved 29 January 2018. ↑ Woo, Elaine (8 September 2010). "David Dortort dies at 93; created and produced TV western 'Bonanza'". Los Angeles Times. ISSN 0458-3035. Archived from the original on 24 September 2015. Retrieved 29 January 2018. ↑ Grønneberg, Anders (6 September 2010). "- Han var like stor som Edvard Munch og Nikolai Astrup" [- He was as big as Edvard Munch and Nikolai Astrup]. Dagbladet (in Norwegian). Archived from the original on 14 February 2017. Retrieved 29 January 2018. ↑ "Elizabeth Jenkins". The Daily Telegraph. 6 September 2010. ISSN 0307-1235. Archived from the original on 12 August 2017. Retrieved 29 January 2018. ↑ Sapa (7 September 2010). "Lewis Nkosi dies". Times LIVE. Archived from the original on 10 September 2010. Retrieved 10 September 2010. ↑ "Former Atomic Energy Commission chairman Homi N Sethna passes away". The Times of India. PTI. 6 September 2010. Archived from the original on 14 February 2017. Retrieved 29 January 2018. ↑ Hevesi, Dennis (10 September 2010). "Foreign Service Officer R. Smith Simpson Dies at 103". The New York Times. ISSN 0362-4331. Archived from the original on 28 October 2015. Retrieved 29 January 2018. ↑ Lesnick, Gavin (6 September 2010). "VIDEO: Little Rock Nine's Jefferson Thomas dies". Arkansas Online. Archived from the original on 13 February 2017. Retrieved 29 January 2018. ↑ "Moto2: Tomizawa killed in Moto2 accident". Autosport. 5 September 2010. Archived from the original on 29 January 2018. Retrieved 29 January 2018. ↑ "Mayor of Pollica Murdered". www.corriere.it. 7 September 2010. Archived from the original on 13 November 2010. Retrieved 29 January 2018. ↑ Bergan, Ronald (7 September 2010). "Clive Donner obituary". The Guardian. Archived from the original on 12 August 2016. Retrieved 29 January 2018. ↑ "William R. Jencks". New Hampshire Union Leader. 8 September 2010. Archived from the original on 29 January 2018. Retrieved 29 January 2018– via Legacy.com. ↑ Brown, Malcolm (16 September 2010). "Writer made us laugh at ourselves". The Sydney Morning Herald. Archived from the original on 29 January 2018. Retrieved 29 January 2018. ↑ Taylor, Scott (6 September 2010). "Former MPP dies from cancer". Ottawa Sun. Archived from the original on 18 November 2014. Retrieved 6 March 2012. ↑ "Quebec minister Claude Béchard dies". CBC News. 7 September 2010. Archived from the original on 10 September 2010. Retrieved 10 September 2010. ↑ "Freitod mit 83: Ehepaar von Brauchitsch nahm sich das Leben" [Suicide together at 83: Brauchitsch couple took their own lives]. Spiegel Online (in German). 11 September 2010. Archived from the original on 20 January 2017. Retrieved 29 January 2018. ↑ "Feldt, Gustav Waldemar Klaus". TracesOfWar.com. Archived from the original on 29 January 2018. Retrieved 29 January 2018. ↑ Izvor, JT (8 September 2010). "Poginuo skijaš Amar Garibović" [The skier Amar Garibovic was killed]. B92.net (in Serbian). Archived from the original on 13 February 2017. Retrieved 29 January 2018. ↑ "Obituary: William Goetzmann, Pulitzer Prize-winning historian". The Scotsman. 12 September 2010. Archived from the original on 22 March 2016. Retrieved 29 January 2018. ↑ Grimes, William (13 September 2010). "Barbara Holland, Defender of Small Vices, Dies at 77". The New York Times. ISSN 0362-4331. Archived from the original on 5 November 2015. Retrieved 29 January 2018. ↑ Martin, Douglas (24 September 2010). "Jack Kershaw Is Dead at 96; Represented King's Assassin". The New York Times. ISSN 0362-4331. Archived from the original on 2 October 2015. Retrieved 29 January 2018. ↑ Spencer, Hawes (8 September 2010). "John Kluge: Business titan, UVA donor dies peacefully at 95". The Hook. Archived from the original on 10 September 2010. Retrieved 10 September 2010. ↑ Ford, Sean (8 September 2010). "Libs honour former minister Lyons". The Advocate. Archived from the original on 14 February 2017. Retrieved 29 January 2018. ↑ "Gunmen kill prominent Iraqi TV presenter Riad al-Saray". BBC News. BBC. 7 September 2010. Archived from the original on 28 February 2017. Retrieved 29 January 2018. ↑ "Muere el histórico periodista Joaquín Soler Serrano" [The veteran journalist Joaquín Soler Serrano dies]. La Vanguardia (in Spanish). 11 September 2010. Archived from the original on 29 January 2018. Retrieved 29 January 2018. ↑ Carlton, Bob (7 September 2010). "Bessemer native and "Beetlejuice" actor Glenn Shadix dies following a fall in his condo". AL.com. Archived from the original on 8 December 2015. Retrieved 29 January 2018. ↑ "Fallece el último líder del POUM, Wilebaldo Solano, a los 94 años" [The last POUM leader, Wilebaldo Solano, dies at the age of 94]. ABC.es (in Spanish). EFE. 7 September 2010. Archived from the original on 13 February 2017. Retrieved 29 January 2018. ↑ Martin, Douglas (11 September 2010). "Lucius Walker, 80, Dies; Baptist Pastor for Peace". The New York Times. ISSN 0362-4331. Archived from the original on 25 January 2018. Retrieved 29 January 2018. ↑ "Décès de la chanteuse Jenny Alpha" [Death of singer Jenny Alpha]. Le Figaro (in French). AFP. 8 September 2010. Archived from the original on 13 February 2017. Retrieved 30 January 2018. ↑ "Hadley Caliman, 1932-2010". Seattle Jazz Scene. 8 September 2010. Archived from the original on 16 September 2010. Retrieved 30 January 2018. ↑ Finn, Natalie (8 September 2010). "LFO Singer RIch Cronin Dies of Cancer at 36". E! Online. Archived from the original on 10 September 2010. Retrieved 10 September 2010. ↑ Hardeen, George (14 September 2010). "Navajo Code Talker Allen Dale June passes away". Navajo-Hopi Observer. Archived from the original on 14 July 2011. Retrieved 18 October 2010. ↑ Weber, Bruce (10 September 2010). "The Paris Review Co-Founder Thomas Guinzburg Dies". The New York Times. ISSN 0362-4331. Archived from the original on 2 June 2016. Retrieved 30 January 2018. ↑ "Second Iraq TV presenter shot, Baghdad bombs kill four". BBC News. BBC. 8 September 2010. Archived from the original on 28 February 2017. Retrieved 30 January 2018. ↑ Hatala, Greg (24 July 2012). "Glimpse of History: North Plainfield swimmer was humble medalist". The Star-Ledger. Archived from the original on 10 February 2013. Retrieved 30 January 2018– via NJ.com. ↑ Kannan, Ramya; Kumar, S.R. Ashok (8 September 2010). "Tamil actor Murali dies of heart attack". The Hindu. Archived from the original on 7 December 2013. Retrieved 30 January 2018. ↑ Grimes, William (11 September 2010). "Irwin Silber, a Champion of Folk Music, Dies at 84". The New York Times. ISSN 0362-4331. Archived from the original on 13 February 2017. Retrieved 30 January 2018. ↑ "IDF Maj.-Gen. (res.) Israel Tal dies at age 86". The Jerusalem Post. The Associated Press. 8 September 2010. Archived from the original on 14 February 2017. Retrieved 30 January 2018. ↑ Wade, Nicholas (13 September 2010). "George C. Williams, Leading Evolutionary Theorist, Dies at 83". The New York Times. ISSN 0362-4331. Archived from the original on 12 February 2017. Retrieved 30 January 2018. ↑ Weber, Bruce (13 September 2010). "Gene Case, Advertising Executive and Advocate, Is Dead at 72". The New York Times. ISSN 0362-4331. Archived from the original on 30 January 2013. Retrieved 1 February 2018. ↑ Infantil, Cristina P (8 September 2010). "Falleció Monseñor Heriberto Correa Yepes" [Monsignor Heriberto Correa Yepes died] (in Spanish). Diócesis de Santa Rosa de Osos. Archived from the original on 26 July 2011. Retrieved 26 July 2011. ↑ McClain, Dylan Loeb (11 September 2010). "Bent Larsen, Chess Grandmaster, Dies at 75". The New York Times. ISSN 0362-4331. Archived from the original on 25 March 2014. Retrieved 1 February 2018. ↑ "Painin olympiavoittaja Rauno Mäkinen kuollut" [Olympic wrestling champion Rauno Mäkinen died] (in Finnish). Finnish Wrestling Federation. 9 September 2010. Archived from the original on 24 July 2011. Retrieved 24 July 2011. ↑ "Venu Nagavalli Died - Actor and Director Venu Nagavalli Passed Away". Kerala365.com. 9 September 2010. Archived from the original on 27 January 2013. Retrieved 1 February 2018. ↑ "Howard "Ed" Philips". Hannibal Courier-Post. Hannibal, Missouri. 10 September 2010. Archived from the original on 23 July 2011. Retrieved 23 July 2011. ↑ "Winnipeg activist Mary Richard dies". CBC News. 9 September 2010. Archived from the original on 12 September 2010. Retrieved 12 September 2010. ↑ "Incidente stradale, muore il pd Sarfatti nel 2005 sfidò Formigoni per il Pirellone" [Car accident, the Sarfatti PD dies - in 2005 he challenged Formigoni for Pirellone]. Milano - La Repubblica (in Italian). 10 September 2010. Archived from the original on 30 December 2017. Retrieved 1 February 2018. ↑ "Kamilla Składanowska Bio, Stats, and Results". Olympics at Sports-Reference.com. Archived from the original on 12 July 2017. Retrieved 2018-02-01. ↑ "Hall of Fame / inventor profile : Frank Wanlass". Invent Now. Archived from the original on 6 December 2010. Retrieved 6 December 2010. ↑ Hevesi, Dennis (11 September 2010). "Juan Mari Bras, Voice for Separate Puerto Rico, Dies at 82". The New York Times. ISSN 0362-4331. Archived from the original on 1 August 2016. Retrieved 1 February 2018. ↑ Την τελευταία της πνοή άφησε η ηθοποιός Γκιζέλα Ντάλι [Actress Gizella Dalli takes her last breath]. in.gr (in Greek). 11 September 2010. Archived from the original on 3 March 2016. Retrieved 1 February 2018. ↑ Mullins, K. J. (15 September 2010). "Venezuelan Governor William Lara dead". Digital Journal. Archived from the original on 27 June 2017. Retrieved 2018-02-01. ↑ Марютин, Фридрих (10 September 2010). Умер легендарный футболист «Зенита» 40-50-х годов [The legendary footballer of "Zenith" 1940s-50s died]. Sports.ru (in Russian). Archived from the original on 17 September 2012. Retrieved 1 February 2018. ↑ Nelson, Valerie J. (14 September 2010). "Billie Mae Richards dies at 88; Canadian actress best known as voice of Rudolph the Red-Nosed Reindeer". Los Angeles Times. ISSN 0458-3035. Archived from the original on 12 December 2015. Retrieved 1 February 2018. ↑ Умер экс-футболист московского "Динамо" Андрей Тимошенко [The ex-football player of the Moscow "Dynamo" Andrei Timoshenko died]. РИА Новости (in Russian). ITAR-TASS. 10 September 2010. Archived from the original on 14 February 2017. Retrieved 1 February 2018. ↑ Silver, Steven H. (13 September 2010). "In Memoriam Edwin Charles (E. C.) Tubb". SFWA. Science Fiction and Fantasy Writers of America. Archived from the original on 20 June 2017. Retrieved 1 February 2018. ↑ Schudel, Matt (12 September 2010). "Scholar Ronald W. Walters led what is considered to be the first lunch-counter sit-in". The Washington Post. ISSN 0190-8286. Archived from the original on 10 November 2017. Retrieved 1 February 2018. ↑ "Former W.Va. first lady Opal Barron dies, 95". Saturday Gazette-Mail. Charleston Gazette-Mail. 11 September 2010. Archived from the original on 12 September 2010. Retrieved 12 September 2010. ↑ "Lord Bingham, 76, dies of cancer". BBC News. BBC. 12 September 2010. Archived from the original on 27 February 2017. Retrieved 2 February 2018. ↑ Childs, David (14 September 2010). "Bärbel Bohley: Political activist who played a key role in the dismantling of the East German state". The Independent. Archived from the original on 13 February 2017. Retrieved 2 February 2018. ↑ "Lives Remembered". The Daily Telegraph. 12 October 2010. ISSN 0307-1235. Archived from the original on 13 February 2017. Retrieved 2 February 2018. ↑ "Lieutenant Hugh Clark". The Pegasus Archive. Archived from the original on 30 October 2012. Retrieved 2 February 2018. ↑ "R&B pioneer 'King' Coleman dies in hospital aged 78". BBC News. BBC. 12 September 2010. Archived from the original on 24 October 2016. Retrieved 2 February 2018. ↑ McLellan, Dennis (14 September 2010). "Harold Gould dies at 86; veteran character actor". Los Angeles Times. ISSN 0458-3035. Archived from the original on 22 November 2017. Retrieved 2 February 2018. ↑ "Jazzmusikern Gunnar Hoffsten är död" [Jazz musician Gunnar Hoffsten is dead]. Dagens Nyhether (in Swedish). 13 September 2010. Archived from the original on 2 February 2018. Retrieved 2 February 2018. ↑ "Ron Kramer, Tight End With Packers and Lions, Dies at 75". The New York Times. The Associated Press. 12 September 2010. ISSN 0362-4331. Archived from the original on 25 March 2014. Retrieved 2 February 2018. ↑ McLellan, Dennis (13 September 2010). "Kevin McCarthy dies at 96; prolific actor best known for 'Invasion of the Body Snatchers'". Los Angeles Times. ISSN 0458-3035. Archived from the original on 7 September 2017. Retrieved 2 February 2018. ↑ Woo, Elaine (15 September 2010). "Fathi Osman dies at 82; voice for modernism in Islam". Los Angeles Times. ISSN 0458-3035. Archived from the original on 13 February 2017. Retrieved 2 February 2018. ↑ Lamp, Beri-Helena; Pahv, Peep (11 September 2018). "Kuulitõukaja Taavi Peetre uppus Tamula järve" [Shot-putter Taavi Peetre drowned at Tamula lake]. Postimees Sport (in Estonian). Archived from the original on 23 July 2012. Retrieved 2 February 2018. ↑ "Taavi Peetre dies". RusAthletics - Russian Athleti. 14 September 2010. Archived from the original on 17 October 2016. Retrieved 2 February 2018. ↑ "Falleció Diego Rodríguez" [Diego Rodríguez passed away]. El Observador (in Spanish). EFE. 11 September 2010. Archived from the original on 14 September 2010. Retrieved 14 September 2010. ↑ Oliver, Greg (12 September 2010). "Multi-gimmicked Mike Shaw – Norman, Makhan Singh, Bastion Booger – dead at 53". Slam! Sports. Archived from the original on 23 July 2017. Retrieved 2 February 2018. ↑ "Comedian Kei Tani dies at 78 after accident". The Japan Times Online. Kyodo News. 2 September 2010. ISSN 0447-5763. Archived from the original on 14 February 2017. Retrieved 2 February 2018. ↑ Culver, Virginia (14 September 2010). "Charles Ansbacher dies; conducted Colorado Springs Symphony". The Denver Post. Archived from the original on 2 February 2018. Retrieved 2 February 2018. ↑ Coerts, Stefan (14 September 2010). "Former Dynamo Dresden Star Nduka Anyanwu Dies At The Age Of 30 | Goal.com". Goal.com. Archived from the original on 2 February 2018. Retrieved 2 February 2018. ↑ "Tragedy Hits Nigerian Football, NDUKA ANYANWU dies on the pitch". All Nigeria Soccer. 15 September 2010. Archived from the original on 13 October 2010. Retrieved 2 February 2018. ↑ Brennan, Don (12 September 2010). "Rider, restaurateur Val Belcher dies". Ottawa Sun. Archived from the original on 30 January 2013. Retrieved 30 January 2013. ↑ "E' morto Pietro Calabrese" [Pietro Calabrese is dead]. ANSA.IT (in Italian). 13 September 2010. Archived from the original on 13 February 2017. Retrieved 2 February 2018. ↑ "French New Wave film-maker Claude Chabrol dies". BBC News. BBC. 12 September 2010. Archived from the original on 27 February 2017. Retrieved 2 February 2018. ↑ "Kalman Joseph Cohen". Pittsburgh Post-Gazette. 19 September 2010. Archived from the original on 13 February 2017. Retrieved 2 February 2018– via Legacy.com. ↑ "In Memoriam Kalman Joseph Cohen '51". Reed Magazine. Reed College. March 2011. Archived from the original on 2 February 2018. Retrieved 2 February 2018. ↑ "Honor Frost". The Daily Telegraph. 29 October 2010. ISSN 0307-1235. Archived from the original on 5 January 2017. Retrieved 2 February 2018. ↑ "Günter Heßelmann Bio, Stats, and Results". Olympics at Sports-Reference.com. Archived from the original on 1 December 2017. Retrieved 2 February 2018. ↑ Nelson, Valerie J. (16 September 2010). "Varnette P. Honeywood dies at 59; artist whose work was featured on 'The Cosby Show'". Los Angeles Times. ISSN 0458-3035. Archived from the original on 14 June 2014. Retrieved 2 February 2018. ↑ Απεβίωσε ο Αργύρης Καβίδας [Argyris Kavidas is dead]. Zougla.gr (in Greek). 15 September 2010. Archived from the original on 30 December 2017. Retrieved 2 February 2018. ↑ Morales, Alfonso (17 September 2010). "Mataron a La Fiera" [They killed La Fiera]. Récord (in Spanish). Retrieved 2 February 2018– via Press Reader. ↑ Cook, Steve (12 September 2010). "Various News: Lawler Closes Memphis Wrestling, Ochocinco Still Appearing on Raw, ROH Fans Get Refunds, More". 411MANIA. Archived from the original on 2 February 2018. Retrieved 2 February 2018. ↑ "Artista plástico Wesley Duke Lee morre aos 78 anos em São Paulo" [Plastic artist Wesley Duke Lee dies at age 78 in São Paulo]. Folha de S.Paulo (in Portuguese). 13 September 2010. Archived from the original on 13 September 2010. Retrieved 2 February 2018. ↑ McLellan, Dennis (23 September 2010). "Judith Merkle Riley dies at 68; noted professor and author of bestselling historical novels". Los Angeles Times. ISSN 0458-3035. Archived from the original on 3 September 2017. Retrieved 2 February 2018. ↑ "Noted singer Swarnalatha dies at 37". The Times of India. 13 September 2010. ISSN 0971-8257. Archived from the original on 14 February 2017. Retrieved 2 February 2018. ↑ "Obituary: Joe Tarnowski, electronics engineer and intelligence officer". The Scotsman. 15 September 2010. Archived from the original on 28 December 2016. Retrieved 2 February 2010. ↑ "Obituary notices". Obituaries. Cambridge University Reporter. University of Cambridge. CXLI (6197). 6 October 2010. Archived from the original on 13 December 2017. ↑ "Stan Gooch". The Daily Telegraph. 2010-11-04. ISSN 0307-1235. Archived from the original on 10 January 2016. Retrieved 3 February 2018. ↑ Williamson, Martin. "Donald Goodson". Cricinfo. Archived from the original on 30 December 2016. Retrieved 3 February 2018. ↑ Hollis, Susan (1 October 2010). "Former MP Greenaway dies". Pique. Retrieved 3 February 2018. ↑ "'Total Rugby' is Jim Greenwood's legacy to the game". The Scotsman. 13 September 2010. ISSN 0307-5850. Archived from the original on 14 February 2017. Retrieved 3 February 2018. ↑ "Zmarł Jarosław Kukulski, kompozytor, ojciec Natalii Kukulskiej" [Jarosław Kukulski, a composer, father of Natalii Kukulskiej died]. Nowa Trybuna Opolska (in Polish). 13 September 2010. ISSN 1230-6134. Archived from the original on 3 February 2018. Retrieved 3 February 2018. ↑ Hevesi, Dennis (25 September 2010). "Robert W. McCollum, Who Studied Viral Diseases, Dies at 85". The New York Times. ISSN 0362-4331. Archived from the original on 5 September 2012. Retrieved 3 February 2018. ↑ "Olympic hockey star Rompre dies". fdlreporter.com. 15 September 2010. Archived from the original on 17 September 2010. Retrieved 7 October 2010. ↑ "Robert E. Rompre". Daily Citizen. 14 September 2010. Archived from the original on 3 February 2018. Retrieved 3 February 2018. ↑ Groves, Lana; Arave, Lynn (14 September 2010). "Former Relief Society General President Barbara B. Smith passes away". Deseret News. Archived from the original on 8 January 2018. Retrieved 3 February 2018. ↑ Henderson, Anna (13 September 2010). "'Legendary' Aboriginal singer gets state funeral". ABC News. Archived from the original on 13 February 2017. Retrieved 3 February 2018. ↑ Mahmoud, Mohamed (19 October 2010). "Mohammed Arkoun obituary". The Guardian. ISSN 0261-3077. Archived from the original on 16 April 2016. Retrieved 3 February 2018. ↑ Novelli, Massimo (16 September 2010). "Addio all'algida Caterina diva dei Telefoni Bianchi - Torino - Repubblica.it" [Farewell to the algid Caterina, diva of the White Phones]. La Repubblica (in Italian). Archived from the original on 25 October 2017. Retrieved 3 February 2018. ↑ Hudson, David (16 September 2010). "Caterina Boratto, 1915 - 2010". Notebook News. MUBI. Archived from the original on 14 February 2017. Retrieved 3 February 2018. ↑ "Sir James Cleminson". The Daily Telegraph. 27 September 2010. ISSN 0307-1235. Archived from the original on 13 February 2017. Retrieved 3 February 2018. ↑ Hevesi, Dennis (26 September 2010). "Ralph Coe, 81, Collector of Native American Art, Dies". The New York Times. ISSN 0362-4331. Archived from the original on 30 January 2013. Retrieved 3 February 2018. ↑ О кончине Герасимова Г.И. [On the death of Gerasimov GI.]. ДЕПАРТАМЕНТ ИНФОРМАЦИИ И ПЕЧАТИ [Department of Information and Printing] (in Russian). МИНИСТЕРСТВО ИНОСТРАННЫХ ДЕЛ РОССИЙСКОЙ ФЕДЕРАЦИИ [​[[Ministry of Foreign Affairs (Russia)|Ministry of Foreign Affairs of the Russian Federation]]​]. 17 September 2010. Archived from the original on 11 November 2010. Retrieved 11 November 2010. ↑ "Morre o ex-deputado José Janene, um dos pivôs do mensalão" [Former deputy José Janene dies, one of the pivots of the Mensalão scandal]. O Globo (in Portuguese). CBN. 14 September 2010. Archived from the original on 25 May 2015. Retrieved 3 February 2018. ↑ Lohr, Steve (24 September 2010). "Frederick Jelinek, Pioneer in Speech Recognition, Dies at 77". The New York Times. ISSN 0362-4331. Archived from the original on 31 January 2013. Retrieved 3 February 2018. ↑ "Morre o comunicador Paulo Machado de Carvalho Filho" [Death of the communicator Paulo Machado de Carvalho Filo]. Terra (in Portuguese). 14 September 2010. Archived from the original on 3 March 2017. Retrieved 3 February 2018. ↑ Cheney, David M. "Archbishop Francis Mansour Zayek". Catholic-Hierarchy. Archived from the original on 29 September 2017. Retrieved 3 February 2018. ↑ Brown, Emma (19 September 2010). "Dodge Morgan, first American to circumnavigate globe alone, dies at 78". The Washington Post. ISSN 0190-8286. Archived from the original on 13 February 2017. Retrieved 3 February 2018. ↑ "Morreu o violoncelista do Madredeus, Francisco Ribeiro (1965-2010)" [Death of the cellist of the Madredeus, Francisco Ribeiro (1965-2010)]. Jornal Expresso (in Portuguese). 15 September 2010. Archived from the original on 11 March 2017. Retrieved 4 February 2018. ↑ Coveney, Michael (4 May 2011). "Nicholas Selby obituary". The Guardian. ISSN 0261-3077. Archived from the original on 12 March 2017. Retrieved 3 February 2018. ↑ "The Club Inventor Dies In Pennsylvania Crash". CBS3. The Associated Press. 15 September 2010. Archived from the original on 19 September 2010. Retrieved 19 September 2010. ↑ "Arrow, Soca Musician, Dies at 6o". The New York Times. The Associated Press. 16 September 2010. ISSN 0362-4331. Archived from the original on 25 March 2014. Retrieved 4 February 2018. ↑ "The political scene: The vice-president dies, aged 82". The Economist Intelligence Unit. 15 October 2010. Archived from the original on 4 February 2018. Retrieved 4 February 2018. ↑ "Bettie Cilliers Barnard dies". News24. 16 September 2010. Archived from the original on 10 January 2018. Retrieved 4 February 2018. ↑ "JARVIS Frank : Obituary". Watford Observer. 24 September 2010. Archived from the original on 3 October 2011. Retrieved 7 October 2010– via YourAnnouncement. ↑ Hayward, Anthony (6 November 2010). "Frank Jarvis: Actor who helped Michael Caine rob a shipment of gold in". The Independent. Archived from the original on 3 March 2016. Retrieved 4 February 2018. ↑ Lubinger, Bill (16 September 2010). "Alvin 'Buddy' Krenzler, federal judge and developer, dies at 89". The Plain Dealer. Archived from the original on 27 August 2017. Retrieved 4 February 2018. ↑ Hernandez, Dylan (16 September 2010). "Al LaMacchia dies at 89; longtime baseball scout pushed Dodgers to hire Andre Ethier". Los Angeles Times. ISSN 0458-3035. Archived from the original on 5 March 2016. Retrieved 4 February 2018. ↑ "Liberal Democrat peer Richard Livsey dies, aged 75". BBC News. BBC. 17 September 2010. Archived from the original on 28 February 2017. Retrieved 4 February 2018. ↑ "Erkki Rönnholm Bio, Stats, and Results". Olympics at Sports-Reference.com. Archived from the original on 11 July 2017. Retrieved 4 February 2018. ↑ "Peter Stebler Bio, Stats, and Results". Olympics at Sports-Reference.com. Archived from the original on 1 July 2017. Retrieved 4 February 2018. ↑ Cheney, David M. "Bishop Victor Adibe Chikwe". Catholic-Hierarchy. Archived from the original on 19 July 2017. Retrieved 4 February 2018. ↑ "Berni Collas ist tot: PFF-Politiker verstarb im Alter von 56 Jahren" [Berni Collas is dead: PFF politician died at the age of 56 years]. BRF Nachrichten (in German). 17 September 2010. Archived from the original on 4 January 2017. Retrieved 4 February 2018. ↑ "James Dillion". Local Cremation. Archived from the original on 7 March 2011. Retrieved 7 March 2011. ↑ "Jim Dillion Bio, Stats, and Results". Olympics at Sports-Reference.com. Archived from the original on 30 June 2017. Retrieved 4 February 2018. ↑ Mesinas, Samuel (18 September 2010). "Se fue una reina sonriente: Helen Escobedo" [A smiling queen left: Helen Escobedo]. Milenio.com (in Spanish). Archived from the original on 21 September 2010. Retrieved 21 September 2010. ↑ Masters, Christopher (29 October 2010). "Helen Escobedo obituary". The Guardian. ISSN 0261-3077. Archived from the original on 10 March 2017. Retrieved 4 February 2018. ↑ "Pakistani politician Imran Farooq murdered in London". BBC News. BBC. 17 September 2010. Archived from the original on 30 November 2017. Retrieved 4 February 2018. ↑ "Fürst von Hohenzollern stirbt im Alter von 86 Jahren" [Prince von Hohenzollern dies at the age of 86 years]. schwäbische.de (in German). 16 September 2010. Archived from the original on 17 December 2012. Retrieved 4 February 2018. (Subscription required (help)). ↑ "MCI founder Jack Goeken dies at 80". LA Times Blogs - Afterword. Los Angeles Times. The Associated Press. 17 September 2010. Archived from the original on 13 February 2017. Retrieved 4 February 2018. ↑ "Tsvetan Golomeev Bio, Stats, and Results". Olympics at Sports-Reference.com. Archived from the original on 1 July 2017. Retrieved 4 February 2018. ↑ "Actor Keiju Kobayashi dies at 86". The Japan Times Online. Kyodo News. 19 September 2010. ISSN 0447-5763. Archived from the original on 14 February 2017. Retrieved 4 February 2018. ↑ Franques, Bill (16 September 2010). "Legendary Tiger Mickey Mangham Dies, 71". LSU Sports. Archived from the original on 7 September 2015. Retrieved 4 February 2018. ↑ "George N. Parks, UMass band director, dies after performance in Ohio". The Republican. 17 September 2010. Archived from the original on 7 July 2017. Retrieved 4 February 2018. ↑ Robinson, Tony (17 September 2010). "Mario Rodriguez Cobos – Silo, founder of New Humanism 6 Jan 1938 – 16 Sep 2010". Pressenza. Archived from the original on 14 February 2017. Retrieved 4 February 2010. ↑ Wiseman, Lauren (13 October 2010). "Obituary: Labor lobbyist, college hoops star John F. 'Jack' Sullivan dies at 75". The Washington Post. ISSN 0190-8286. Archived from the original on 8 August 2016. Retrieved 2018-02-04. ↑ Miller, Ed (23 September 2010). "Fleet mourn Jim Towers". Fleet Online. Ebbsfleet United FC. Archived from the original on 26 March 2016. Retrieved 4 February 2018. ↑ Lambert, Bernard; Russell, Steve (16 October 2010). "Edwin James Towers - Professional Footballer - 1954 to 1965 - R.I.P." Independent Rs. Archived from the original on 4 August 2016. Retrieved 4 February 2018. ↑ Godfrey, Nicholas (19 September 2010). "Venerated trainer Noble Threewitt dies aged 99". Racing Post. Archived from the original on 26 October 2012. Retrieved 7 October 2010. ↑ Bell, L. (16 September 2010). "Le note di Guido Turchi fra Scala e Filarmonica" [The notes of Guido Turchi between Scale and Philharmoic]. Corriere Della Sera (in Italian). Archived from the original on 7 August 2012. Retrieved 7 August 2012. ↑ Fentress, Aaron (18 September 2010). "Wayne Twitchell, former Wilson High School and major league pitcher, dies at 62". The Oregonian. Archived from the original on 18 January 2018. Retrieved 4 February 2018– via OregonLive.com. ↑ Segall, Grant (16 September 2010). "Dr. Robert J. White, famous neurosurgeron and ethicist, dies at 84". The Plain Dealer. Archived from the original on 6 August 2017. Retrieved 4 February 2018– via Cleveland.com. ↑ "Judge served his profession with distinction". Belfast News Letter. 20 September 2010. Archived from the original on 31 July 2017. Retrieved 6 February 2018. ↑ "Gloria Colón Bio, Stats, and Results". Olympics at Sports-Reference.com. Archived from the original on 5 July 2017. Retrieved 6 February 2018. ↑ "Legendary musician Puttaraj Gavai passes away". The Hindustan Times. Press Trust of India. 17 September 2010. ISSN 0972-0243. Archived from the original on 23 October 2010. Retrieved 23 October 2010. ↑ Depriest, Joe (18 September 2010). "'Whitey' Grant, 94, country music pioneer". The Charlotte Observer. Archived from the original on 30 September 2012. Retrieved 30 September 2012. ↑ Solomon, Charles (21 September 2010). "Bill Littlejohn dies at 96; animation artist". Los Angeles Times. ISSN 0458-3035. Archived from the original on 5 July 2017. Retrieved 6 February 2018. ↑ "Décès de Jean-Marcel Jeanneney" [Jean-Marcel Jeanneney dies]. Le Figaro (in French). AFP. 17 September 2010. ISSN 0182-5852. Archived from the original on 7 January 2018. Retrieved 6 February 2018. ↑ Hayward, Anthony (7 October 2010). "Louis Marks obituary". The Guardian. ISSN 0261-3077. Archived from the original on 19 May 2017. Retrieved 6 February 2018. ↑ "Architect Vojteh Ravnikar Dies". STA. 17 September 2010. Archived from the original on 25 March 2012. Retrieved 25 March 2012. ↑ Thursby, Keith (30 September 2010). "Robert C. Truax dies at 93; rocket pioneer aided daredevil Evel Knievel's 1974 canyon jump". Los Angeles Times. ISSN 0458-3035. Archived from the original on 14 February 2017. Retrieved 6 February 2018. ↑ Raver, Anne (2010-09-24). "Wayne Winterrowd, Gardening Expert, Dies at 68". The New York Times. ISSN 0362-4331. Archived from the original on 11 May 2017. Retrieved 6 February 2018. ↑ "James Bacon, chronicler of Hollywood, dies at 96". NY Daily News. The Associated Press. 19 September 2010. Archived from the original on 13 February 2017. Retrieved 9 February 2018. ↑ Burheim, Mads Gudim (19 September 2010). "Landslagstrener Øystein Gåre er død" [National coach Øystein Gåre is dead]. Dagbladet.no (in Norwegian). Archived from the original on 9 February 2018. Retrieved 9 February 2018. ↑ "Stalwart among city hoteliers dies at 89". Bath Chronicle. 30 September 2010. Archived from the original on 15 December 2012. Retrieved 9 February 2018– via Old Blundellian Club. ↑ Melloy, Kilian (21 September 2010). "Out Feminist Writer Jill Johnston Dies". EDGE Boston. EDGE Media Network. Archived from the original on 14 February 2017. Retrieved 9 February 2018. ↑ "Merkel: CDU trauert um Egon Klepsch" [Merkel: CDU mourns for Egon Klepsch]. Pressemitteilung CDU Deutschlands. 18 September 2010. Archived from the original on 10 October 2012. Retrieved 10 October 2012. ↑ "Samuel Kooistra Obituary - Blake Lamb Funeral Home/103rd - Oak Lawn IL". Black Lamb Funeral Home. obits.dignitymemorial.com. Archived from the original on 13 February 2017. Retrieved 9 February 2018. ↑ "Sam Kooistra Bio, Stats, and Results". Olympics at Sports-Reference.com. Archived from the original on 3 July 2017. Retrieved 9 February 2018. ↑ Jones, Yolanda (22 September 2010). "William Renfro was Tiger grid star, DeSoto County supervisor". The Commercial Appeal. Memphis, Tennessee. Archived from the original on 15 June 2011. Retrieved 15 June 2011. ↑ "WWII Indian flying ace Squadron Leader Pujji, 92, dies". BBC News. BBC. 22 September 2010. Archived from the original on 28 February 2017. Retrieved 9 February 2018. ↑ "Cape Breton businessman Irving Schwartz dies". CBC News. 18 September 2010. Archived from the original on 28 June 2014. Retrieved 9 February 2018. ↑ "Obituary: Bobby Smith 20 September 2010". www.tottenhamhotspur.com. Tottenham Hotspur. 20 September 2010. Archived from the original on 2 May 2017. Retrieved 9 February 2018. ↑ "Inge Steensland er død" [Inge Steensland is dead]. Aftenposten. Norsk Telegrambyrå. 18 September 2010. Archived from the original on 21 September 2010. Retrieved 22 September 2010. ↑ Aune, Oddvin (19 September 2010). "Ingjald Ørbeck Sørheim er død" [Ingjald Ørbeck Sørheim is dead]. NRK (in Norwegian Bokmål). Archived from the original on 14 February 2017. Retrieved 9 February 2018. ↑ Hallman, Tom, Jr. (18 September 2010). "Wallace Turner, Pulitzer Prize-winning reporter for The Oregonian, dies at age 89". The Oregonian. ISSN 8750-1317. Archived from the original on 3 March 2016. Retrieved 9 February 2018. ↑ Levin, Jay (21 September 2010). "Austin N. Volk, former Englewood mayor, dies at 91". The Record. Archived from the original on 8 April 2016. Retrieved 8 April 2016– via NorthJersey.com. ↑ "Iconic East German state artist Walter Womacka dies". Deutsche Welle. 19 September 2010. Archived from the original on 14 February 2017. Retrieved 9 February 2018. ↑ Grimes, William (24 September 2010). "Howard Brodie, Combat and Courtroom Artist, Dies at 94". The New York Times. ISSN 0362-4331. Archived from the original on 10 February 2018. Retrieved 10 February 2018. ↑ "Ray Coleman - BR Bullpen". Baseball Reference. Archived from the original on 13 April 2016. Retrieved 10 February 2018. ↑ Heckman, Don (21 September 2010). "Buddy Collette dies at 89; L.A. jazz saxophone player, bandleader". Los Angeles Times. ISSN 0458-3035. Archived from the original on 1 December 2017. Retrieved 10 February 2018. ↑ Davies, Peter (22 September 2010). "Bob Crossley: Abstract painter whose work was inspired by his love of". The Independent. Archived from the original on 13 February 2017. Retrieved 10 February 2010. ↑ Murray, Dave (24 September 2010). "'Ned' Fenlon, lawmaker who helped build Mackinac Bridge, dies at age 106". MLive.com. Archived from the original on 3 March 2016. Retrieved 10 February 2018. ↑ Умер Сергей Гомонов [Sergei Gomonov died]. Прессбол (in Russian). 19 February 2018. Archived from the original on 31 July 2017. Retrieved 10 February 2018. ↑ "Fallece ministro Gudiño Pelayo en Londres" [Minister Gudiño Pelayo dies in London]. El Universal (in Spanish). 19 September 2010. Archived from the original on 12 January 2018. Retrieved 10 February 2018. ↑ Weber, Bruce (24 September 2010). "Stuart E. Hample, Humorist and Cartoonist, Dies at 84". The New York Times. ISSN 0362-4331. Archived from the original on 13 September 2012. Retrieved 10 February 2018. ↑ Hudson, Anastasios (20 September 2010). "Biography of His Beatitude Archbishop Chrysostomos II". Hellenic Orthodox Traditionalist Church of America. Archived from the original on 7 January 2011. Retrieved 10 February 2018. ↑ Почина художникът Иван Кирков [Artist Ivan Kirkov died]. Vesti.bg (in Bulgarian). 19 September 2010. Archived from the original on 24 October 2010. Retrieved 24 October 2010. ↑ "Miles de personas despiden a Labordeta en Zaragoza" [Thousands of people pay respects to Labordeta in Zaragoza]. El País (in Spanish). 19 September 2010. ISSN 1134-6582. Archived from the original on 25 June 2017. Retrieved 10 February 2018. ↑ "László Polgár". The Daily Telegraph. 26 September 2010. ISSN 0307-1235. Archived from the original on 13 February 2017. Retrieved 10 February 2018. ↑ Weber, Bruce (21 September 2010). "Irving Ravetch, Screenwriter, Dies at 89". The New York Times. ISSN 0362-4331. Archived from the original on 8 September 2012. Retrieved 10 February 2018. ↑ Boaz, Chip (26 September 2010). "Reflecting Upon Max Salazar (1932 - 2010): What His Words and Actions Meant for Latin Music". The Latin Jazz Corner. Archived from the original on 17 July 2012. Retrieved 19 March 2017– via All About Jazz. ↑ Sayle, Jenny; Baumgartner, Georges; Tudor, Geoffrey. "FCCJ Obituary: Murray Sayle". The Foreign Correspondents' Club of Japan. Archived from the original on 22 October 2010. Retrieved 22 October 2010. ↑ Brown, Malcolm (24 September 2010). "Correspondent had front row view of history unfolding". The Sydney Morning Herald. ISSN 0312-6315. Archived from the original on 24 November 2015. Retrieved 10 February 2018. ↑ de Waard, Peter (4 October 2010). "Gouden Bouk was voorloper van IJzeren Willem" [Golden Bouk was forerunner of Iron William]. de Volksrant (in Dutch). Archived from the original on 14 February 2018. Retrieved 14 February 2018. ↑ "Jack Cassini Stats". Baseball Almanac. 1 February 2018. Archived from the original on 14 February 2018. Retrieved 14 February 2018. ↑ "Songfestivalzanger Fud Leclerc overleden" [Song festival singer Fud Leclerc dead]. De Redactie.be (in Dutch). 21 September 2010. Archived from the original on 14 February 2018. Retrieved 14 February 2018. ↑ Sahiti, Gafurr (21 September 2010). "Belgium: Fud Leclerc passed away". ecstoday.com. Archived from the original on 23 September 2010. Retrieved 23 September 2010. ↑ "Salzburger Alt-Weihbischof Jakob Mayr ist tot" [Salzburg suffragan bishop emeritus Jacob Mayr is dead]. salzburg24.at (in German). 20 September 2010. Archived from the original on 18 September 2012. Retrieved 14 February 2018. ↑ "Sheriff's report: McKinley was depressed over knee injury". KDVR Denver. The Associated Press. 22 September 2010. Archived from the original on 25 October 2010. Retrieved 25 September 2010. ↑ Hamnik, Al (24 September 2010). "Region bids farewell to sports legend Pilarcik". The Times of Northwest Indiana. Archived from the original on 26 April 2016. Retrieved 14 February 2018. ↑ Holland, Steve (15 November 2010). "Jennifer Rardin obituary". The Guardian. ISSN 0261-3077. Archived from the original on 14 March 2016. Retrieved 14 February 2018. ↑ Soergel, Matt (20 September 2010). "Tongue-in-cheek inspiration to Lynyrd Skynyrd dies at 77". The Florida Times-Union. Archived from the original on 4 October 2017. Retrieved 14 February 2018. ↑ "Kenneth Franklin Weaver". Warren-McElwain Mortuary and Cremation Services. Archived from the original on 13 March 2012. Retrieved 7 October 2010. ↑ Bernstein, Adam (24 September 2010). "Kenneth F. Weaver; science editor". The Washington Post. ISSN 0190-8286. Archived from the original on 14 February 2018. Retrieved 14 February 2018. ↑ Lawless, John (21 September 2010). "Rual Yarbrough passes". The Bluegrass Blog. Archived from the original on 31 December 2010. Retrieved 31 December 2010. ↑ McLellan, Dennis (24 September 2010). "Grace Bradley Boyd dies at 97; actress, widow of William 'Hopalong Cassidy' Boyd". Los Angeles Times. Archived from the original on 25 February 2016. Retrieved 14 February 2018. ↑ "Film and TV composer Geoffrey Burgon dies aged 69". BBC News. BBC. 22 September 2010. Archived from the original on 27 February 2017. Retrieved 14 February 2018. ↑ Harrison, Alexa (27 October 2010). "Thesp John Crawford dies". Variety. Archived from the original on 7 April 2016. Retrieved 14 February 2018. ↑ "Former NSW Labor MP Davoren dies". The Sydney Morning Herald. AAP. 22 September 2010. ISSN 0312-6315. Archived from the original on 14 February 2017. Retrieved 14 February 2018. ↑ McGee, Harry (22 September 2010). "Former 'Independent' editor dies". The Irish Times. ISSN 0791-5144. Archived from the original on 2 July 2017. Retrieved 14 February 2018. ↑ Doyle, Kevin; O'Keeffe, Alan (21 September 2010). "Death of inspiring and iconic former editor Vinnie Doyle". Irish Independent. ISSN 0021-1222. Archived from the original on 14 February 2018. Retrieved 14 February 2018. ↑ Lentz, Harris M. III (2 May 2011). Obituaries in the Performing Arts, 2010. McFarland. p. 143. ISBN 9780786486496. ↑ Wallace, Ellen (22 September 2010). "Geneva's, Lausanne's Catholic bishop dies". GenevaLunch News. Ellenworld News. Archived from the original on 3 March 2017. Retrieved 14 February 2018. ↑ Fowlie, Jonathan (21 September 2010). "Former Liberal MLA Sindi Hawkins loses cancer battle". The Vancouver Sun. ISSN 0832-1299. Archived from the original on 23 September 2010. Retrieved 23 September 2010. ↑ Bloch, Anthony M.; Leok, Melvin (October 2011). "A Tribute to Jerry Marsden from the Mathematical Sciences Community" (PDF). SIAM News. Society for Industrial and Applied Mathematics. 44 (8): 1, 3. Archived from the original (PDF) on 14 February 2018. Retrieved 14 February 2018. ↑ Weinstein, Alan; Chorin, Alexandre; Sastry, Shankar (2011). "In Memoriam Jerold Eldon Marsden". The University of California Senate. Archived from the original on 17 October 2012. Retrieved 17 October 2012. ↑ Cheney, David M. "Bishop James Edward Michaels". Catholic-Hierarchy. Archived from the original on 28 October 2017. Retrieved 14 February 2018. ↑ Fumarola, Silvia (21 September 2010). "Addio a Sandra Mondaini senza Raimondo, stroncata dal dolore" [Goodbye to Sandra Mondaini without Raimondo, cut off from pain]. La Repubblica (in Italian). Archived from the original on 5 July 2017. Retrieved 14 February 2017. ↑ Connors, Molly A.K. (27 September 2010). "Wellfleet general was Vietnam POW". Cape Cod Times. Archived from the original on 13 February 2017. Retrieved 14 February 2018. ↑ Williams, Paul (23 September 2010). ""King of buskers" dies". Music Week. Archived from the original on 14 February 2018. Retrieved 14 February 2018. (Subscription required (help)). ↑ Leigh, Spencer (27 September 2010). "Don Partridge: One-man band who had Top 10 hits in the 1960s but returned to a life of busking". The Independent. ISSN 0951-9467. Archived from the original on 14 February 2018. Retrieved 14 February 2018. ↑ "Shabtai Rosenne, Turkel Committee member, dies". Ynet news. 21 September 2010. Archived from the original on 13 February 2017. Retrieved 14 February 2018. ↑ Ash, Julie (22 September 2010). "Sir Archie Taiaroa dies after stroke". The Dominion Post. Archived from the original on 12 January 2013. Retrieved 14 February 2018– via Stuff.co.nz. ↑ "Jackie Burroughs of Road to Avonlea dies". CBC News. 22 September 2010. Archived from the original on 24 September 2010. Retrieved 24 September 2010. ↑ Rutherford, Drew (23 September 2010). "Legendary Swim Coach Bussard Dies". UTSports.com. University of Tennessee Athletics. Archived from the original on 14 February 2018. Retrieved 14 February 2018. ↑ Malone, George (22 September 2010). "A sad, fond farewell to Mike Celizic". NBC Sports. Archived from the original on 23 September 2010. Retrieved 23 September 2010. ↑ "Mike Celizic". The Record/Herald News. 23 September 2010. Archived from the original on 14 February 2018. Retrieved 14 February 2018– via Legacy.com. ↑ Hu, Winnie (1 October 2010). "Debate Over Charges in Rutgers Student's Suicide". The New York Times. ISSN 0362-4331. Archived from the original on 10 December 2012. Retrieved 14 February 2018. ↑ Εκοιμήθη ο πρώην Μητροπολίτης Ρόδου Απόστολος [The former Metropolitan of Rhodes Apostolos celebrated]. Pulse.gr (in Greek). 22 September 2010. Archived from the original on 21 July 2011. Retrieved 21 July 2011. ↑ "Verstorbene Bischöfe der Orthodoxen Kirchen 2010" [Deceased bishops of the Orthodox churches 2010]. www.oki-regensburg.de. Archived from the original on 3 June 2016. Retrieved 14 February 2018. ↑ "Ex-USC And NFL Star Don Doll Dies". University of Southern California Official Athletic Site. 28 September 2010. Archived from the original on 27 August 2017. Retrieved 14 February 2018. ↑ Grimes, William (24 September 2010). "Eddie Fisher, Singer and Actor, Dies at 82". The New York Times. ISSN 0362-4331. Archived from the original on 1 June 2013. Retrieved 14 February 2018.